Are you dreaming of carefree existence? Are you hoping to have a life filled with peace, trust, and quiet strength? Would you like to be safe, confident and fully alive? Don’t we all? Just too often our life resembles more a desert than an oasis though. Life without God is like living in a desert. When we are living in a desert the elements of a good life are limited. But when we allow the Spirit of God rain on us, new life and growth is possible. We can’t make our lives flourish but God can. We can’t force ourselves to be fully alive. But the rain of grace changes everything. and the desert turns into farmland, and the farmland is considered a forest. and righteousness will abide in farmlands. The blessings from our intimate relationship with God are phenomenal. Life and more life. Peace, calm, security, carefree existence. Goodbye for survival mode. Welcome to being alive in Christ. Jesus is the only way from desert to oasis. There’s no other ways no matter how hard people are trying to convince you that you can make it on your own. But there is only one Master Gardener and that is Jesus. Self-help does not work. Success, fame, money, wealth does not make you fruitful. But being right with God brings both internal and external peace. And peace brings confidence, trust, and quiet strength. All the things every human being wants but searches in all the wrong places. We can’t force them to appear, they are fruits of righteousness. And righteousness is a gift from God. How can you get it? By asking. Ask God to pour out grace upon grace on your desert. Ask Jesus to restore you. Ask the Holy Spirit to revive you. And your desert will turn into a fruitful oasis and you will enjoy a blessed life now and forever. Pour out some Living Water! Pour out grace upon grace! Make us alive in you. 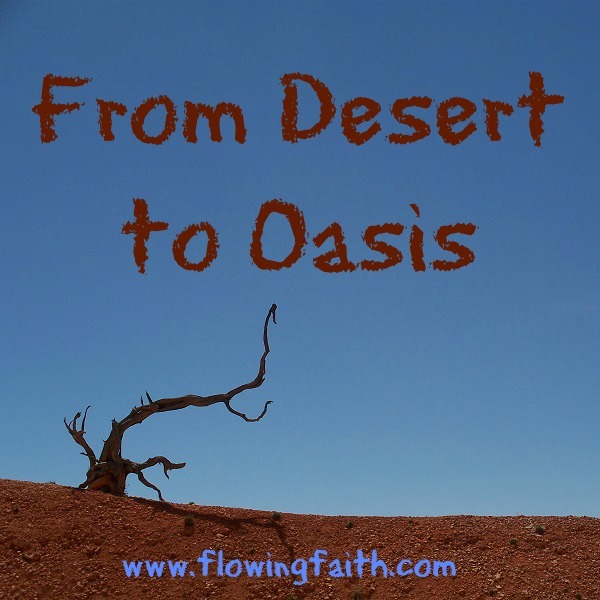 Q4U: Is living in a spiritual desert familiar to you? How did you get revived? Be blessed, my fellow pilgrim, as you embrace Jesus as your righteousness! 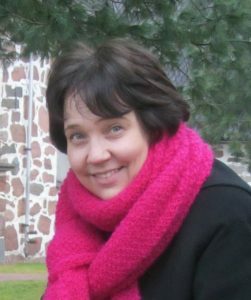 Image courtesy of James Cronin, design Mari-Anna Stålnacke. This post is refurbished from 2010. Linking up today with Unite the Bloggersphere , Three Word Wednesday and #tellhisstory.